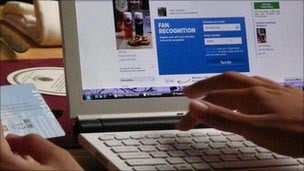 Poll: Would you use – Taggo – the Facebook reward card? We’re used to developers making apps for Facebook… but real world reward cards? Aneace Haddad, a German entrepreneur and founder of a service called Taggo has decided to make a multipurpose loyalty card that uses Facebook to work out what businesses you want to be loyal to. It’s like a multipurpose reward card that can work for any number of businesses… cafes, restaurants or shops but instead of signing up to them in the shop, you sign up via Facebook. The Taggo card uses Fan pages to let you sign up to businesses you like. The upside for the customer is only having to carry one reward card around, and that they get more money off because they remember it more often. The upside for the business is that more of their fans have reward cards, though of course these cards won’t be so exclusive, it will be a Taggo card, not a Starbucks card. However, on the local business side, let’s not underestimate the use of having access to their fans’ Facebook walls – a little update here and there will keep you at the top of their mind. And the aggregate data of Facebook fans is very interesting, letting you find out who your loyal visitors are, how old they are and where they live. Valuable information. So.. are you sold? will you be using this?